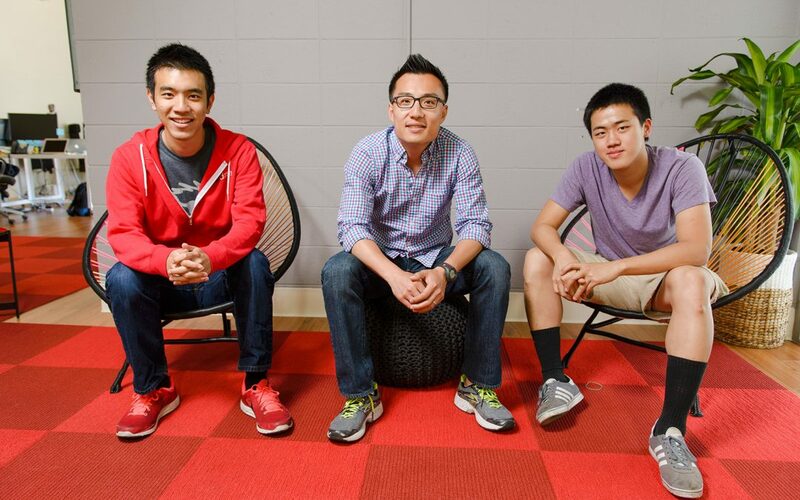 Pictured Above: From left to right, Stanley Tang, DoorDash co-founder and chief product officer; Tony Xu, co-founder and CEO; and Andy Fang, co-founder and chief technology officer. A steady stream of news announcing new players in the third-party delivery arena coupled with an exhaustive research report from Morgan Stanley suggest the financing and competition in this fast-growing industry has yet to peak. 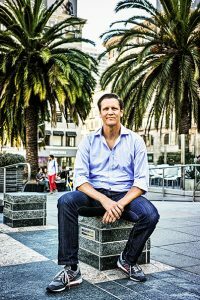 Holger Luedorf, senior vice president of business development at Postmates, predicts substantial growth ahead for the industry, especially in retail- and convenience-oriented deliveries. Since joining the company in mid-2014, he’s seen the company grow from fewer than 10,000 deliveries a month to approximately 1.5 million deliveries by late 2016. “In a sense, we’re at a point where Amazon was back in the day when they first started selling books, then music and then they slowly expanded into other categories,” he said, adding that the company plans to expand beyond its current roster of 40 U.S. metro markets. Luedorf’s rosy growth projections are mirrored by a recent study from Morgan Stanley that predicts the North American delivery market has massive growth potential as consumers, restaurants and retailers realize the potential of third-party delivery services. The report, “Food Delivery: What If All Food Could Be Delivered as Easily as Pizza,” singled out three main points: Only about a third of consumers orders delivery food that’s not pizza; demand for a wider variety of take-out food is consistent in cities, suburbs and rural areas; and, the delivery category as a whole is only scratching the surface of its potential More than 5,000 U.S. customers, 40% of whom had recently ordered delivery food, were surveyed. The key barriers to a wider adoption of delivery were price and availability. At DoorDash, founded in 2013 in a Stanford dorm room, now serves 28 major metro markets in the U.S. and Canada. Thanks to a recent injection of $127 million to fund growth and upgrade in-house technology, DoorDash is one of the fastest-growing third-party providers in the U.S. It’s fueled in part by ongoing interest from the investor community. Speculating about the industry, Eitan Bencuya, head of DoorDash’s communications, said that according to the company’s in-house research, about 80% of restaurants and 98% of small businesses don’t deliver, which he expects to shift significantly in the coming years. “We want to make sure we serve not just local restaurants, but all types of local merchants and all types of local businesses whether they be flower shops, clothing shops, hardware stores, you name it,” he said. Online pizza ordering, the study says, is now one-third of the category’s sales. For the top three pizza delivery chains—Domino’s, Papa John’s and Pizza Hut—online ordering quickly grew to more than 50% of total sales. This shift in ordering created more than $7 billion in shareholder value in the top two publicly traded pizza companies during the same timeframe. At Postmates, Luedorf said approximately 80% of the San Francisco-based company’s deliveries are food, but he expects food’s importance to decrease as customers get used to daily household items being delivered. In addition, new strategic partnerships, like its recently inked deal with Chipotle, will add urgency (and customers) to Postmates’ expansion plans. Aside from chasing growth, Postmates has made significant investments to improve the ordering experience for customers, speeding up deliveries and improving customer service. On the merchant side, Postmates rolled out tablets allowing the company to send food orders directly into the kitchen of partner restaurants, as well as integrating orders with existing restaurant POS providers. Its latest program, Postmates Plus Unlimited, added a monthly $9.99 subscription option to allow customers to get unlimited free deliveries (for orders over $25) from the company’s Plus merchants. Like many of its competitors, DoorDash has forged formal partnerships with big brands, including Taco Bell, 7-Eleven, Dunkin Donuts and Whole Foods, to simultaneously expand its offerings and increase momentum to cover a larger chunk of North America. Asked about the potential for consolidation in the already-crowded third-party delivery category, Bencuya said there are several companies “overfunded and under-delivering” in the space, and that he wouldn’t be surprised to see consolidation in the coming year. Postmates’ Luedorf agreed that brand consolidation is inevitable, and suggested that growing offerings from third-party providers—as well as customer awareness of what’s available in a flash—will allow the industry to continue its double-digit growth rates in the foreseeable future.